The need for a portable and long-lasting source of light has been around since the dawn of time. In more primitive times our ancestors used the same three components we use today but they had to be more creative. Today our oil lamps are built with post-industrial materials whereas in 70,000 B.C. our ancestors would use shells that contained animal fats and moss that could maintain a flame for a few hours. Today we have the luxury of electrical lighting but due to a great number of factors outside of our control, we could without notice be thrust into a situation where our homes aren’t powered. In the event of a power outage, a good oil lamp can and will provide the light you need to proceed with your day as you normally would. With anything that is burning, you do have to be aware of the inherent risks that are involved in using an open flame with fuel as a source of light. With this best of the list I’ve selected the top three oil lamps, you can find readily available today and included a couple unique choices that are sure to satisfy all of the oil lamp enthusiasts out there. These products are rated on a scale from 1-10 with the first item being the best choice and the tenth being, well, on this list. This smaller more compact oil lamp produced by Dietz is an exceptional choice and is featured at the very top of this best of list. Its compact and original design make this a stylish oil lamp that can accommodate most rooms and can be stored away quite easily during the times that you do not need them. The little wizard is available in two different designs, a standard design and a design that has a smaller fuel tank. Another nice aspect of this oil lamp is there are two different colors to choose from which is more than others offer. With how unpredictable the recovery time is on any power outage that may occur it is vital that your oil lamp is capable of sustaining the entirety of the duration. The dietz little wizard in its standard design, is able to maintain its flame for up to 45 hours on 36 oz. of fuel. The other design with the smaller fuel tank is about half the size of the original and is able to maintain a flame for 23 hours on 17 oz. of fuel. The Dietz Little Wizard has a massive fuel tank that can hold 36 oz of fluid. This huge tank ensures you won’t need to refill it very often. Falling somewhere in the middle for pricing while being just as effective and providing a substantially long lasting light this oil lamp provides a perfect balance between price and quality. This oil lamp is rated as having 9 candlepower ensuring it to provide ample light even in the darkest of areas. Burning at a rate of less than one once per hour this lighting source is extremely cost efficient compared to other oil lamps. The larger option can sustain light for a period of up to 24 hours, this is the longest of any oil lamps on this list. While not a wide selection the two color options provide more personalization that other oil lamps on this list. The little wizard has a much larger base which provides extra stability and prevents most accidental tipping. The dietz brand name on this oil lamp, which has been around since 1840, is a company that is sure to stand by its product and provide a time tested oil lamp that will work when you need it the most. While they are generally good lamps, manufacturing flaws can cause leaking in the seams of the base. After filling the lamp, it can be difficult or impossible to remove the fuel. This Hand-Blown Borosilicate Glass Globe is an interesting addition to this list and is feature in the number two spot. This oil lamp was made to sit atop a glass wine bottle and has a wick that will lower into the bottle where your fuel will be stored. This wick is low sitting in the glass globe and rather rigid which provides a long lasting light and saves you from having to buy wicks as frequently. The larger globe on this oil lamp provides more air circulation which in turn produces a larger flame. The use of the interchangeable globe contributes to this being a nearly universal oil lamp. The globe can be stored easily while not in use but is nearly specific to being used on bottles of wine and the company provides a list of compatible bottles. 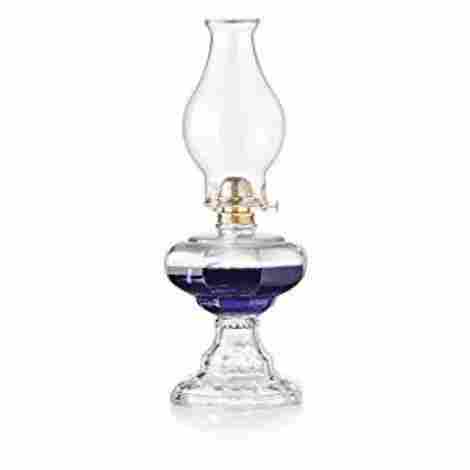 This oil lamp is hand blown which enhances a few key traits of this lamp. Hand blown glass is much lighter than your standard production commercial glass. Hand blown glass is thin and smooth preventing any glare or noticeable blemishes on the glass which will give an untarnished all encompassing light. Coming in on the lower to middle ground when it comes to the pricing on this list the oil lamp glass globe is a very strong contender. The simplicity in its design compliments the lower price and makes for a purchase that has great value. 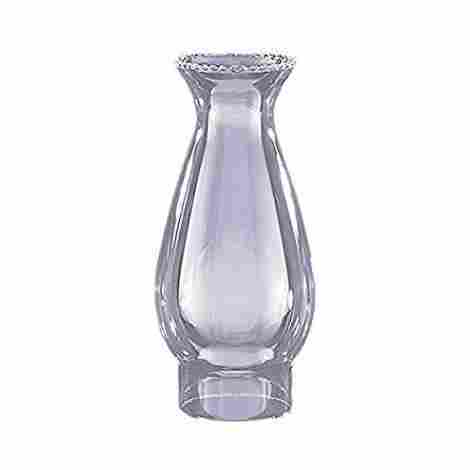 The hand blown glass provides a sense of superior craftsmanship. The universal modular opening is perfectly sized for wine bottles, however could fit other bottles with a similar shape or size. This oil lamp is simple to use but should you encounter any issues it does have a downloadable PDF users manual. From setting the mood to emergency lighting the larger flame provides plenty of light. The fiberglass wick is made with very rigid, durable material which doesn't need to be replaced very often. The glass globe that allows for so much circulation, does make the globe a bit more bulky. This limits the globe to being used on more sturdy and wider bottles. The hand blown glass can be quite fragile and a single tipping of the bottle can and will likely break it. 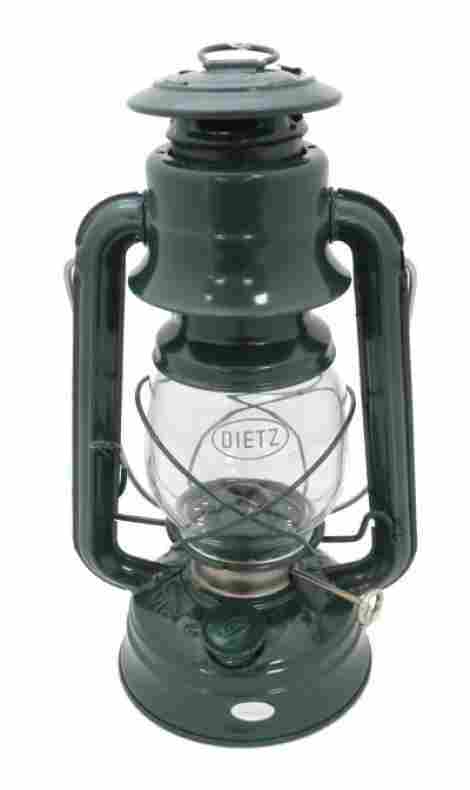 With such a long history in the manufacturing and production of oil lamps it should be no surprise that the Dietz Original 76 was chosen for the third place and best value choice on this list. It falls nothing short of what you would imagine an old time miner would have used when excavating tunnels for minerals with its classic design. This oil lamp has an operational cost that is well below most on this list which ensuring you could sustain this for a substantial amount of time. Regardless of why you need to use an oil lamp, being portable is a key design trait for any one of these wonderful oil lamps. The compact design of this Oil Lamp is particularly beneficial should you need this lamp for an outdoor lighting solution which can be easily added to your outdoor equipment. When you purchase this oil lamp it comes prepared with a wick and simply needs oil to be added. Additionally each of the parts on this lamp can be ordered individually allowing you to easily replace any parts that may be damaged during use. With 9 candlepower this oil lamp is the epitome of big things in small packages and provides ample light. The compact design allows this oil lamp to be nearly a universally accepted choice no matter the reason you need it. Similar but better than the little wizard this dietz model has multiple color options for a hint of customization. The maximum fuel capacity on this model is 8 oz. and it can sustain light for about 11 hours. The lever that is used to raise and lower the globe can be difficult to manage. The more narrow base allows the lantern to be knocked over quite easily. The Glo Brite made by 21st Century is a beaded lamp that that is 8 inches tall. It has an hourglass shape and has a more elegant look and feel. 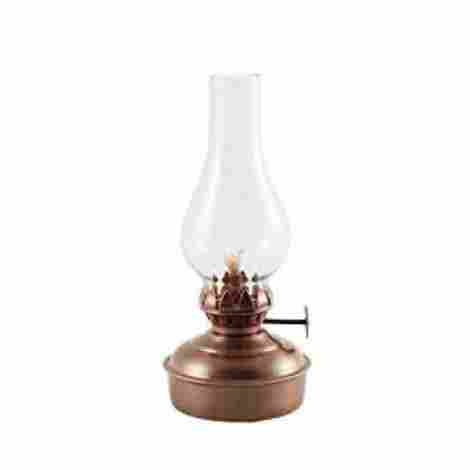 This oil lamp is substantially cheaper than the other lamps on this list and uses a chimney design. Being a two part system you would need a burner base for this model of oil lamp. While it may seem more troublesome this allows you some room for customization as well as the ability to choice your fuel tank size. With less use you could select a smaller base, and with more use you could find a base with a larger fuel tank. The light rays that are coming off of the fire are captured in the glass of your lamp and then refracting it out across the room seemingly amplified with the hourglass design. With a height of 8 inches this chimney will be a little shorter than other chimneys. Keeping in mind that the 8 inches would be added onto the height of your base the shorter chimney was the clear choice of the glo brite product line. 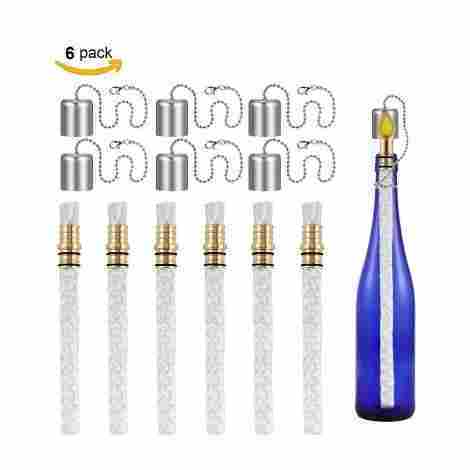 The Glo Brite Beaded lamp is one of the cheaper products on the list. The biggest variable would come from the price of your chosen base and some of the cheaper options would still keep this oil lamp on the lower end of the price scale for this list. The elegant design would surely make a great addition on a special occasion. With the hourglass shaped chimney this lamp can cast its light quite far. At 8 inches tall and 3.5 inches wide this is a more compact option compared to other oil lamps on this list. This chimney is made with much thicker glass providing extra durability. As is common with most oil lamps the glass can get quite hot, while this model does not have a frame or anything preventing you from burning yourself. This lamp does not include a base or any wick. The lamplight montana oil lamp is better suited for an indoor environment. It can easily be used as your standard table lamp but is also capable of being mounted on a wall should you want to provide a more ambient mood. The brushed copper metal has a moose and tree stamped onto the shade of the hood that adds a refreshing touch of artistry to a generally ordinary item. This oil lamps wall mounting capabilities definitely contributed to its positioning on this list. The ability to be wall mounted serves a dual purpose, during a normal daily routine you can use your electrical lighting and the stylish sconce would be an aesthetic addition to your room. Should you need them in an emergency they would be in a great position to be easily used. The brushed copper and artistic etching give this oil lamp a very rustic appearance that would go well with any room and provide a sense of natural beauty. Before you run out and buy one of these well designed lamps, they are towards the upper middle and higher priced points for the products on this list. While not unaffordable it was a contributing factor in its positioning. The unique traits and stylish appearance more than make up for the cost of purchasing this lamp. This lamp can hold 15.5 ounces of fuel, while not the biggest that is a larger fuel tank compared to most other lamps. This lamp can be used continuously for up to 24 hours, while generally not required, you could use the same fuel and wick for multiple uses. The rustic appearance and etching is very refreshing in a generally simple industry. Should the glass be damaged in anyway you cannot order the chimney individually. The packaging used in shipping is less than ideal. The Feuerhand Hurricane lantern by Vermont Lanterns, much like the dietz collection, is a classical representation of an original oil lamp. This galvanized steel lantern is painted with a high quality rust, heat, and scratch resistant powder coated paint that will help your oil lamp hold its own against the test of time. This lantern is sure to work in all water conditions, unless you live underwater, and will provide an exceptional source of ambient light. The Feuerhand Lanterns powdered coated paint comes in an assortment of color options allowing you to choose a color that suits your preferences or homestyle. With its functional characteristics these paints are a welcome addition to the lantern. The light that is cast and 10 ounce fuel capacity make this a great choice for emergency lighting. 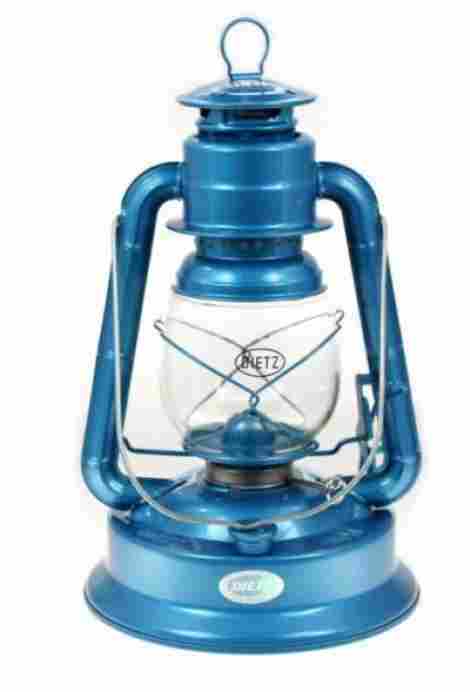 This lantern comes with additional wicks to ensure when you lose power you're completely prepared. As one of the most expensive products on the list the price was the key factor in positioning. While the price is higher this is a case of you get what you pay for. The higher quality steel, powder coating, and the all weather capabilities speak for themselves and really provide a bang for your buck feeling. 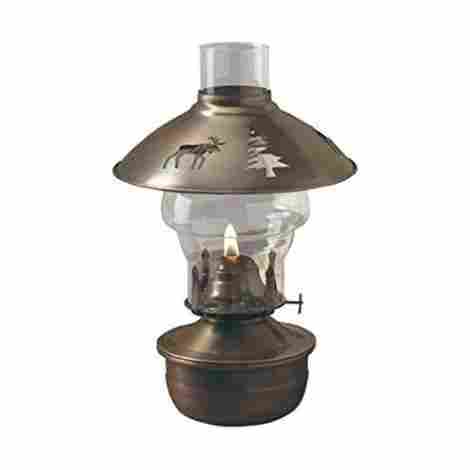 This lantern has a specially designed burner element that will prevent the sooting and flickering of the flames. The fuel tank is coated with a special material to prevent leaking. The glass globe is made with a special material that will not crack due to heat or cold differentials. The ingenious use of galvanized steel provides increased durability and resistance to rust. The turn knob for the wick can be difficult to turn. Out of the box the screw for the fuel tank can be quite tight. 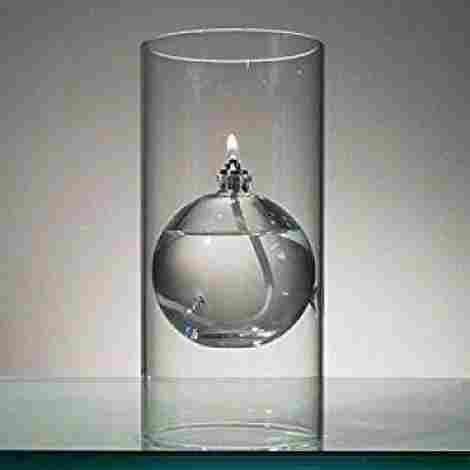 This hand blown oil lamp is made nearly entirely of glass and has a very contemporary vibe. This work of art would compliment any home with a contemporary design style very well. The floating glass ball fuel tank is clear and reveals the fuel source which can be dyed for further aesthetic appeal. This oil lamp is among the smallest of lamps to be featured on this list and has a fuel capacity of 2.7 ounces. The modern and fully glass design is a unique and taste approach to the oil lamp line up. These tiny lamps are perfectly suited for a peaceful meal and can double as emergency lighting. The option to add dyes to your fuel bring out a unique customizable addition to this lamp. When lit lamp has a slight glow to it from the dye that is eye catching but not distracting. These lamps are quite expensive considering the small size and fuel capacity. The price will rival that of the highest on this list and what's missing is a sense of substance to the product. The most redeeming trait is the modern design which will embrace any new contemporary homes. The small firefly engraving is a very subtle addition a nice touch that compliments the modern design. With the dyeing of the fuel you can set the mood for nearly any scenario. The modern design is difficult to adhere to however firefly did a wonderful job of making a stylish product. The space below the fuel area can be used for decorative objects such as shells or rocks. This oil lamp comes with a plastic funnel to make refilling simple and easy. While you can dye the fuel, the dyes must be purchased separately. This oil lamp can produce some soot. This mini lantern out of Vermont Lanterns is a well balanced and simple approach to your oil lamp needs. As one of Vermont Lanterns best selling lamps, the generic design makes this oil lamp easy to add to any home and provides a great source of light for up to 10 hours. This lamp can be mounted using a mounting bracket that it can be lifted out of easily and would make a great light for a hallway or bathroom. The simplistic appearance will conform to nearly any home. The simplicity used in the design of this lamp ensures no moving parts or mechanical features will become more of a burden than a blessing when using this lamp. The mounting system used with this lamp can be placed in a hallway to be used for general lighting or even placed in a garage for use during an emergency. These lamps are rather tiny and could fit in a cabinet should you not want them mounted on a wall. These lamps are very affordable as one of the cheapest products on this list. The fuel capacity and candlepower are lacking slightly but the price were my biggest concerns with this lamp. It can only hold 2.5 ounces of fuel and has 2 candlepower so it won’t be lighting entire rooms. The mounting bracket that attaches to a single screw is very easily moved and gives you the capability to reposition it anywhere in your home. This lamp offers four different styles and you can choose from Brushed Pewter, Nickel Chrome, Antique, and Polished Brass. The very low fuel consumption keeps the operational costs of this lamp to a minimum. 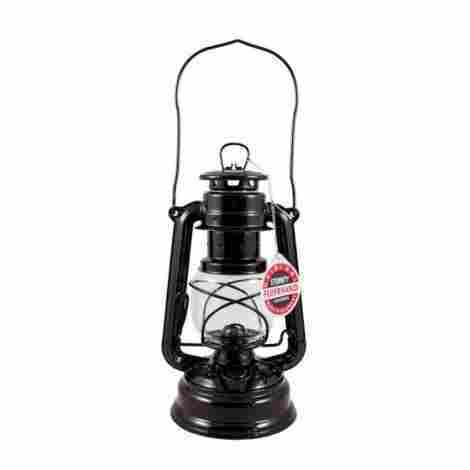 The Vermont Lanterns company sells replacement parts and spare wicks or fuel providing full support for this oil lamp. The lower fuel capacity will have you refueling with regularity. The lower candlepower provides just enough light to see what you're doing. This oil lamp wick uses a simple and easy to use fill and dip instant light source. The wick is made with fiberglass which will burn for a very long time and won't need to be replaced quite so often. This bottle based oil lamp kit will fit in most whiskey and wine bottle sized mouth pieces and the copper adapter can be reused on a new wick should you burn yours out. These bottle oil lamps come with a cap that can be used to extinguish the flame and will help to prevent spillage. The universal design and use of rubber grommets allows the wicks to fit into most bottles. 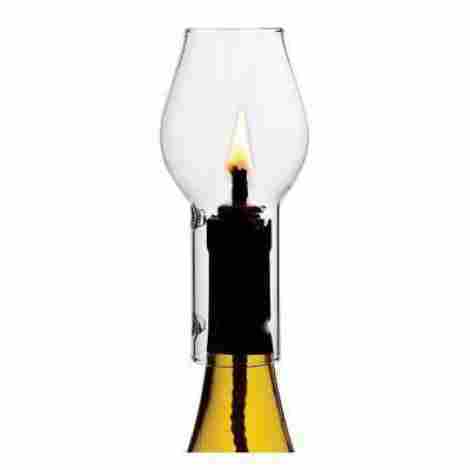 While it is adaptable to any bottle this trait make these oil lamps better for outdoor feel. The easy to use implementation and lack of a frame allow for easy storage and versatility. While limited in its uses to mostly outdoor or emergency lighting the lack of a frame keeps the price of these oil lamps extremely low. The long lasting wick and extinguishing cap will keep these oil lamps running for the foreseeable future. The high value comes from the 6-pack or 3-pack choice regardless of the one you buy, there lifetime will exceed that of the best oil lamps. The limitations of only being able to use them in a bottle is the one hindrance of the oil lamp. With a wick measuring in at 14 inches the exceptionally long lifetime of the wicks keep you from having to check them or refill them regularly. The lack of globe and use of rubber grommets ensures a snug fit on most bottles. These oil lamps are a unique and different approach to outdoor lighting. Arguably the most redemptive trait is the value you get from a single purchase. You’re limited to only using larger bottles that have a wine or whiskey bottle sized opening. The rigidness of the wick can make it difficult to mount through the wicks holding clip. Modeled in a more classical and vintage style this oil lamp is a well designed and exquisite and will surely bring a bit of charm to any room. Measuring in at 18 inches tall this oil lamp is more of a permanent fixture and while it can be placed outdoors indoor use is more accommodating to the larger design. This oil lamp uses a bronze plated burner and the flame can be adjusted. The antique style gives this oil lamp a sense of higher quality. This oil lamp is not one you will see often and that is sad really. The antique design is very appealing and is reminiscent of a modern and rustic collision. This oil lamp is not very portable and quite bulky. While normally that may seem like a trait this oil lamp nearly doubles as a piece of art. The bronze plate and glass frame meld together forming a very entrancing source of light. If it was not the most expensive oil lamp on this list it surely would have a higher rated and be one of the more valued items. All of the cheaper oil lamps can accomplish the same basic function and with this oil lamp you really feel like you’re paying for the design and not functionality. This unique turn-of-the-century design is underused and makes for a pleasant addition to any home. This lamp has a clear fuel tank and can be used with dyes to add a variety of color options. This lamp was made with superior craftsmanship and you can feel it when holding it. With 10 candlepower this lamp will light most rooms adequately enough to read or write. The high price was a major drawback to this lamp. The wick holder can be difficult to use and you may have to fidget with it. After reviewing the best list, you will have a better understanding of what is available on the market and of course, highly rated. As you read on in this buying guide, you will learn some of the most important aspects used in choosing the best and gather a heap of information, proving otherwise. Unfortunately, we were not gifted with nocturnal vision, and it’s a bummer but we get by. A good oil lamp will help to lessen the blow by providing an ample light source that needs to allow you to comfortably operate on the darkest of nights. Furthermore, the best oil lamp needs to do it in a way that can be added comfortably to your setting and not impair yours in any way. The way an oil lamp performs the important tasking of casting light in the darkness was a critical factor when I was selecting the products for this best of list. Another trait that I needed to keep forefront in my mind was how long these lamps were capable of sustaining a flame. While many of the oil lamps I reviewed could maintain a flame, they needed to do so without becoming hazardous and without becoming more of a problem to maintain than a remedy. The oil lamps I selected are able to maintain flames anywhere from 6 hours and upwards of 45 hours and can conform to nearly any need. Similarly, the size of the fuel tank was a component I tried to manage when choosing these oil lamps. Aside from determining how long it can sustain a little the amount of fuel inside a lamp will determine the weight of the lamp, as well as determine how often you need to refuel. Lamps that need to be refueled more frequently were given a lower rating while lamps that could withstand use for a few days were given a higher rating. A more commonly overlooked trait of these lamps that I attempted to conqueror was how much the lamp costs to run. The amount of fuel that is used may not seem very important but if you need to buy a gallon of kerosene or other fuel every day that lamp isn’t very sustainable. All of the lamps on this list consume anywhere from 20 milliliters to 1.6 fluid ounces of oil per hour. There is a slight variance depending on the accelerant used. If you have ever been in a situation before where you needed an oil lamp you already know how important it is that your lamp is able to sustain the light without putting off too much heat. Excessive heat from these lamps can burn your flesh and be very unpleasant to carry. Combating the heat output I selected oil lamps that used heat-resistant materials or handles that were further away from the flame. While a candle seems like it would be a simple solution it cant compete with a truly good oil lamp. While functionally the candle can maintain a flame it can only be used in a room or area that has no wind, rain or other elements that may extinguish the flame. Some of these oil lamps are capable of being used outdoors and in inclement weather such as rain or snow. Proper maintenance is a requirement of nearly every specialized tool and oil lamps are no exception. From the refueling requirements to the wick exchanging this lighting solution has its drawbacks. Most of the oil lamps I picked were capable of storing ample amounts of fuel and or used a fiberglass infused wick which is capable of burning for extended durations. With these lamps using a source of fuel, a primary trait when selecting this lamps was how easy they were to refuel. While an oil lamp may have the capabilities of light an entire room if it takes 20 minutes to refuel chances are it’s going to end up being more of a nuisance to use that it would be to simply sit in the dark. Most of the oil lamps I included were able to be refueled with relative ease and some even included a plastic funnel to provide an added convenience. With events such as the great Chicago fire reportedly being the catalyst in the ignition of the fire that killed 300 people and left over 100,000 residents homeless safety was my primary focus when selecting these oil lamps. Trying to be as safety conscious as possible I chose products that either used adjustable wicks in order to maintain a low flame and products that used less fuel so in the event of a tipping the flame would be more manageable. Its recommended using a level surface every time you use an oil lamp. While an oil lamp might have an astounding candlepower and have an enormous fuel compartment it is only good as long as it is functional. The oils that are used as accelerants in oil lamps can be extremely detrimental to the oil lamps and over time damage them. 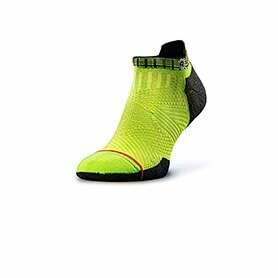 Trying to ensure I found higher quality products I included options that were more resistant to wear. Kerosene, in particular, is an extremely corrosive accelerant. This corrosive is also amplified when combined with higher temperatures making it particularly strenuous on your oil lamp. Materials I found were more resistant to corrosion were glass, and steel that had be galvanized and I made sure to select oil lamps that used these materials. If you’re as clumsy as I am it is only a matter of time before you knock over your oil lamp. If it were simply a drink this wouldn’t be the end of the world but with an oil lamp, this mistake could be a costly one. I chose a number of different oil lamps that had a wider base for added stability or were wall mounted that would be up and away from the most range of motions. Much like the fuel operational cost the wick that is used with your oil lamp can be an additional expense when buying one of these lamps. The wicks used in the oil lamps featured on this list used either a cotton wick or a fiberglass wick. Cotton wicks are quite good at “wicking” the accelerant and providing a long lasting flame however they do produce some residue or soot. Fiberglass wicks are capable of lasting nearly indefinitely with normal use and it doesn’t produce flame or soot. With the use of glass and small metal parts, it is likely that over time and with use these oil lamps like any product can break or become damaged. A good manufacturer that stands by its product often includes a warranty. I tried to ensure that these products offered some type of warranty and those that did were given a higher rating. In life sometimes the smallest things make the biggest difference. Including things like a few extra wicks or spare parts is a subtle but nice addition that is provided by some of the better oil lamps. A few of these oil lamps come with these bonus items and did play a small role in their placement on this best of list. Q: What size wick do these lamps use? A: When picking these oil lamps I tried to select lamps that used various thickness for more choices. These lamps use a mixture ⅝, ⅜, ½, diameter wicks. Q: What type of fuel do these lamps use? A: There are various good options for fueling your oil lamps. Technically you could use just about any oil but not all oils are good. Some of the better options are paraffin oils, kerosene, lamp oil, and surprisingly enough even olive oil can be used in some oil lamps. Q: How long do fuel lamps last? A: While the fuel tank size on these lamps determine how long they can run in a single filling, there is generally a consumption per hour rate. This rate varies from 20 milliliters per hour and goes up to 1.6 fl.oz per hour. Q: How long will the wicks in these lamps last? A: How long you wicks last will vary based on the material that was used in its creation. Cotton wicks tend to burn more quickly whereas fiberglass wicks can last quite a long time. Q: Do any of these lanterns include a handle? A: Portability was a key trait I tried to include when selecting these products. Most of these products feature handles that are placed well and won’t retain heat from the flame. Q: Do any of these lamps provide adequate light for reading? A: These lights are very commonly used for reading because they are easy on your eyes. With upwards of 12 candlepower, there is surely an oil lamp that will cast enough light to read with. Q: Where were these lamps made? A: These lamps were made in various areas across the planet. Some of the places that produce these products include The United States of America, China, and Mexico. Q: How much heat do these lanterns give off? A: With flames that can exceed temperatures of 1400 degrees Fahrenheit it was critical that I selected products that were heat resistant and would provide some type of protection from accidental burns. While most of the products have some type of burn protection it is important to use common sense when using an oil lamp.